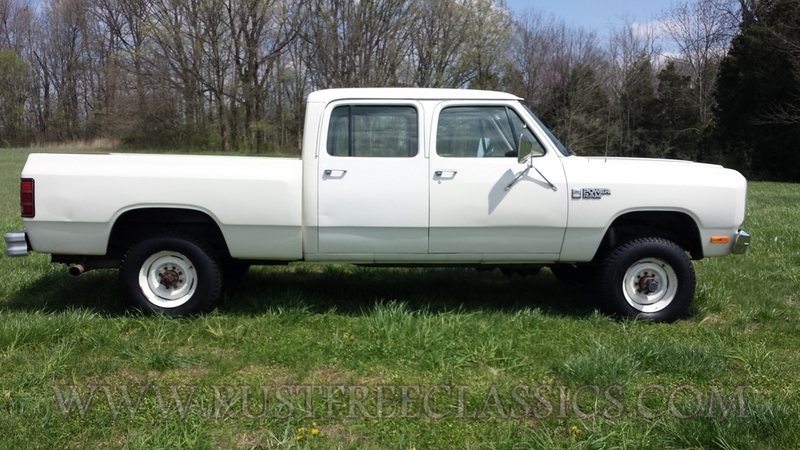 Rare1985 Dodge crew cab W350 1 ton "Power Ram"
Rare and very sought after 1985 Dodge W350 factory 1 ton 4x4 crew cab short bed. 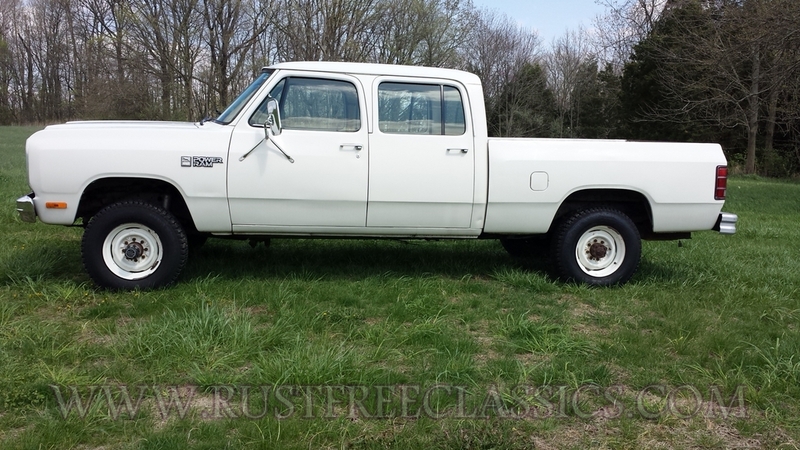 This heavy duty 4x4 has only had 2 adult owners with the last owning it for 25 years. It is straight and Rustfree from the west coast, and only has 105,078 actual miles. It runs and drives unbelievable for a 30 years old 4x4. It features a strong smooth 360 4 bbl engine with a nice shifting 4 speed manual. This truck also has factory A/C, PS, and PDB. It even still has the factory radio that still works. The tires are like new stock sized 9.50x16.5's. The suspension, brakes, and exhaust are all sound. 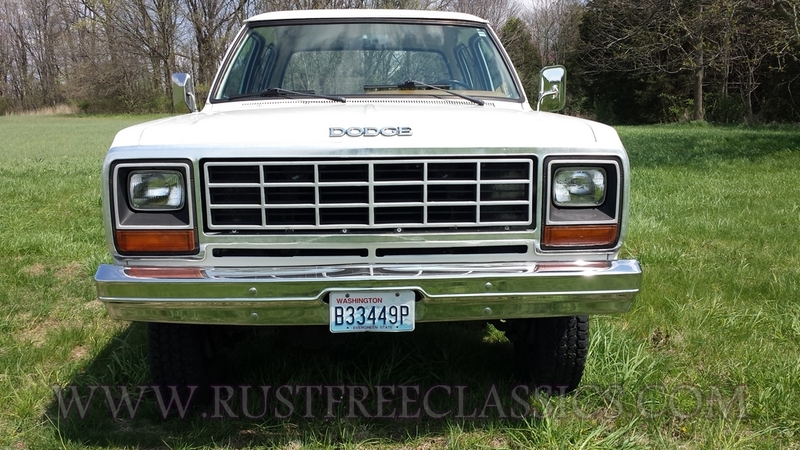 This truck unlike most 1 ton Dodges is a true 1 ton with all the real heavy duty parts. It features a Dana 60 front axle, the bullet proof NP205 gear driven transfer case, and a matching Dana 60 in the rear. Unfortunately, Dodge was skimpy on the real heavy duty parts even in their 1 tons. A lot of their 1 tons only got the Dana 44 front, and the chain driven full time NP203 transfer case. The interior is nice, clean and all original. It is just getting plaint tough to find these clean original survivors any longer. If you are looking for Dodge like this, don't drag your feet. They don't last long. 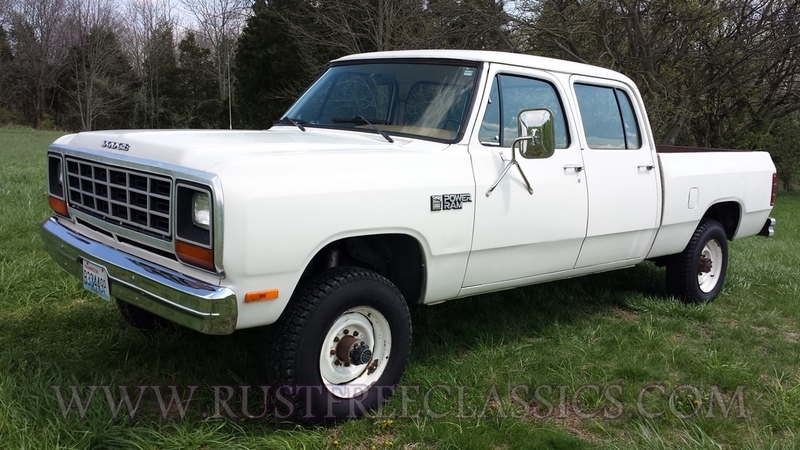 I have personally used the 4x4 system, and driven this truck over 300 miles. 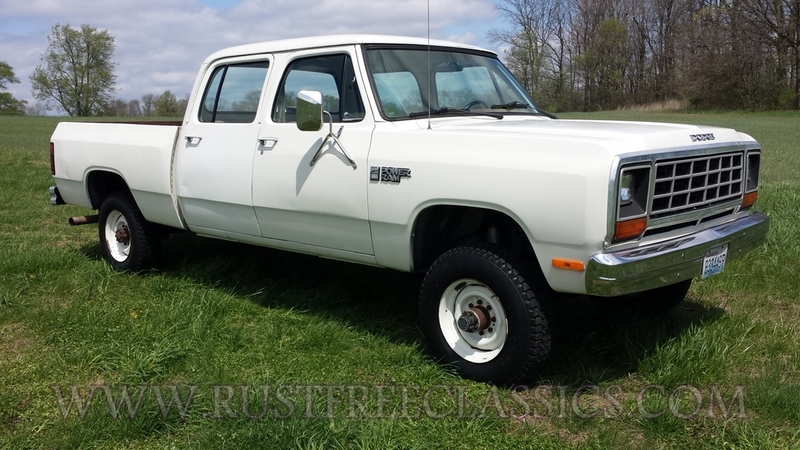 This truck is about as straight an original crew cab Dodge 4x4 as one will find. 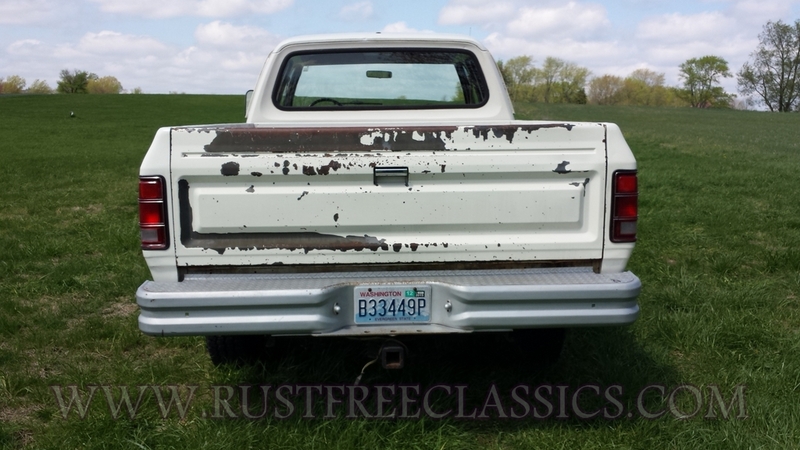 The bed floor has some heavy surface rust, but is still good and solid. A nice spray in liner would look really nice. She has minimal dents, dings, and scratches, and hasn't been a beat work truck. It is all stock and hasn't been lifted or off roaded. Bottom line it is an excellent driver that I would hop in and drive it any place.